The global market for wave and tidal energy is on a path of a prosperous growth. 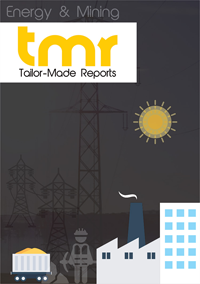 The increasing consumption of electricity across the globe – both in established and emerging economies – is expected to substantially drive the overall development of the global market. Some of the other key factors responsible for the growth of the global wave and tidal energy market can be termed as the accelerated deterioration of the traditional resources of power such as natural gas, coal, and oil. Also, the increasing concerns about the excessive polluting nature of the techniques of energy production that consists these and other fossil fuels. The growing focus on the new developments in the techniques of power generation that are based on cleaner and more sustainable source of energy such as wave and tidal energy as well solar energy is also expected to provide a fitting answer to all the above mentioned problems and thus, drive the overall development of the global market for wave and tidal energy. The global market for tidal and wave energy makes use of the effective strategies and techniques to make most of the one of the largest and unending source of energy – ocean and wind. These sources of energy are sustainable as well as environment friendly. The wave and tidal energy harnessing technology serves as two of the current times’ vital ways to make most of the inexhaustible resource of energy available to us. With effective strategies and technologies, ocean could be used as one of the largest and inexhaustible sources of environmentally-neutral and sustainable energy. Wave and tidal energy technologies serve as two of the present times’ key ways of harnessing energy from oceans. Wave and tidal energy technologies are relatively new power generation technologies with significant scope for development in the near future. As research and development activities focused on the commercial development of clean energy resources intensify, the two sectors are expected to witness significant market growth in terms of technological advancement and rise in terms of investment and installed capacity in the near future. However, owing to their emerging nature, further development of wave and tidal energy technologies requires constant support from government bodies in terms of subsidies and encouraging regulation. The rising consumption of electricity across developed, developing, and well as less-developed economies is undoubtedly the primary factor encouraging developments in the global market for wave and tidal energy. Other important factors driving the market include the shrinking banks of conventional power resources such as oil, natural gas, and coal, and the rising concerns regarding the highly polluting nature of energy production techniques that involve these and other fossil fuels. The increased focus on developing power generation techniques based on cleaner and sustainable energy sources such as solar power and wave and tidal energy is mostly an attempt to find a fitting solution to the aforementioned concerns. The market for wave and tidal energy is treading along an encouraging growth path, Home to the world’s oldest commercial-sized tidal power plant, the market for wave and tidal energy in Europe continues to lead the way. The market in Europe is seeing an increased number of projects being announced or going live on an encouraging pace, with the highly anticipated Swansea Bay tidal lagoon in the U.K. and the MeyGen tidal array project in Scotland swiftly nearing completion. Owing to an impressive line-up of old and new projects, several potential sites capable of housing large-scale wave and tidal energy projects, and an encouraging regulatory framework, the Europe market is expected to present growth opportunities for companies operating in the wave and tidal energy market in the next few years. Europe is presently the leading contributor of revenue to the global market and is expected to witness significant developments in the next few years. South Korea is expected to lead in terms of the tidal barrage technology and is expected to add more capacity alongside the Shiwa Lake Tidal Power Station, presently the world’s largest tidal power station, to its wave and tidal energy output. Boasting only a few sites where tidal energy can be harnessed at a commercial and economical cost, the U.S. lags behind in the market with no commercial tidal plants till now. Developments in the area in Asia Pacific are expected to remain limited to mostly China and Australia. Despite being at a nascent stage of development, the global wave and tidal energy market features a fragmented competitive landscape. Over 200 companies presently function in the market, most of which have operations in the area of development of energy converter technologies. It is difficult to project whether or not the competitive landscape will achieve consolidation in the near future. However, for small companies to make a mark in the global market, strategic alliances with special purpose project companies would be imperative. Some of the leading players operating in the global wave and tidal energy market are Ocean Renewable Power Company LLC, Pelamis Wave Power Ltd., AquaGen Technologies, Tenax Energy, Carnegie Wave Energy Ltd., Atlantis Resources Ltd., Ocean Power Technologies, Inc., Aquamarine Power Ltd, Marine Current Turbines Ltd., and S.D.E. Energy Ltd. (WERPO Wave Energy).